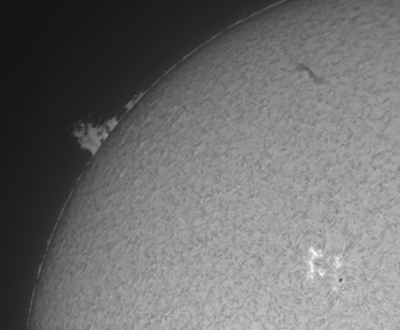 An Opticstar PL-130M monochrome CMOS 1.3 mega-pixel USB camera was placed at the prime focus of a Solarmax ll, 60, BF15 H-alpha scope, mounted on an iOptron Cube Pro, AZ, GOTO mount. A 1200 frame AVI was captured, exposed for the disk and a 600 frame AVI exposed for the prominences. 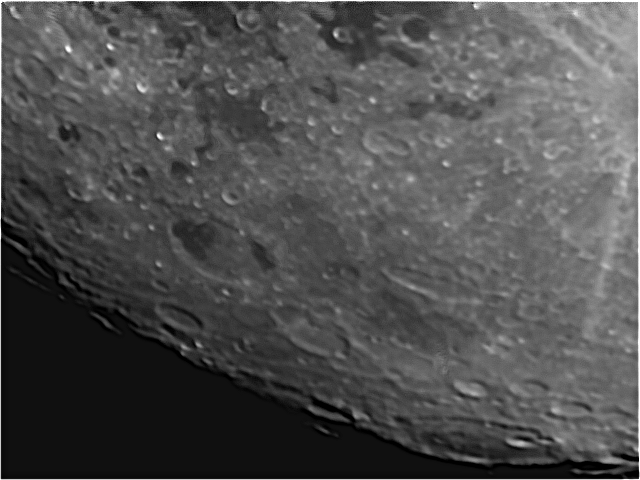 The AVIs were stacked and wavelet processed in Registax 5.1, post-processed, combined and colourised in Photoshop. 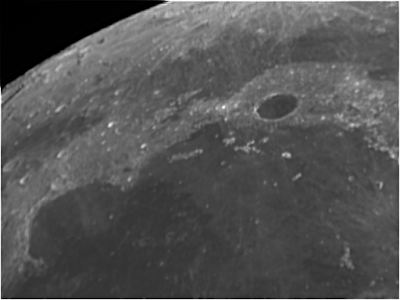 The Moon was low in the sky and the seeing was bad. 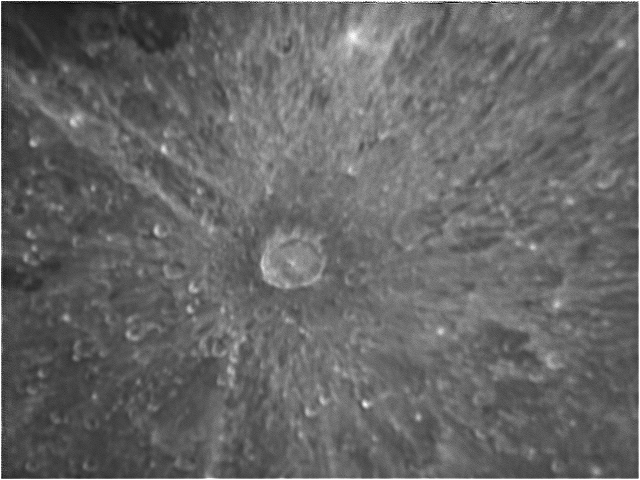 With Fedora Linux, Nicola Makin's AstroDMx Capture software was used to capture 1000 frame AVIs of different areas of the Moon with a DMK camera. 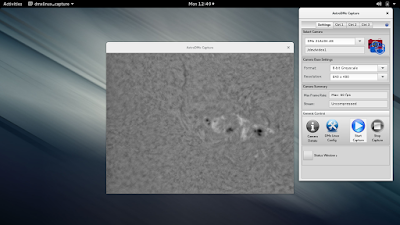 The AVIs were stacked in Registax 5.1 running under the Wine Windows compatibility layer under Linux. 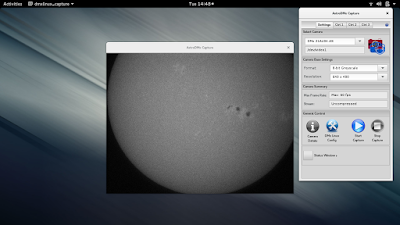 Post processing of the resulting 16 bit TIFF files was done in the Gimp 2.9. The cheap ELP HD, USB board camera was used in grey-scale mode at a resolution of 640 x 480, using the reported uncompressed video stream, to image two regions of the Moon. Notwithstanding the poor seeing conditions, which were improving by the time the ELP camera was connected, the resulting images were quite good and virtually free of compression artefacts. Nicola's AstroDMx Capture Linux software is progressing and now captures AVIs as well as TIFFs. 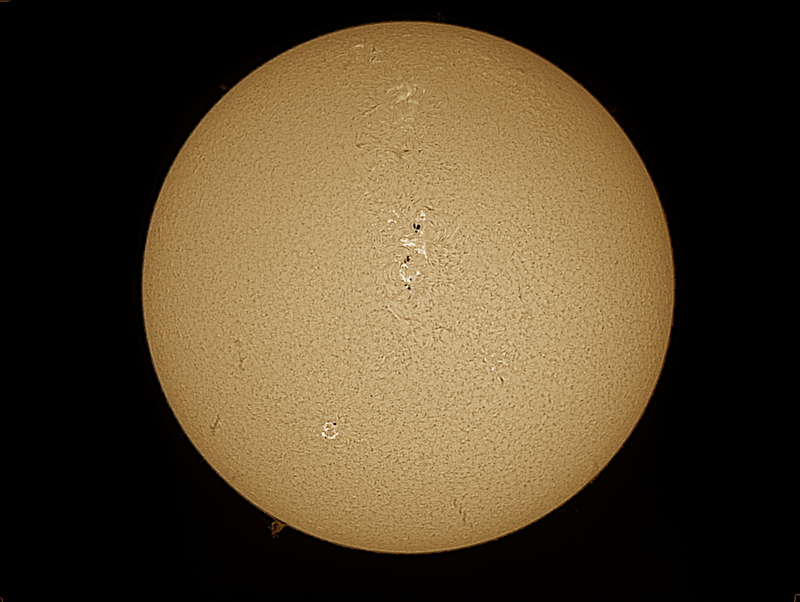 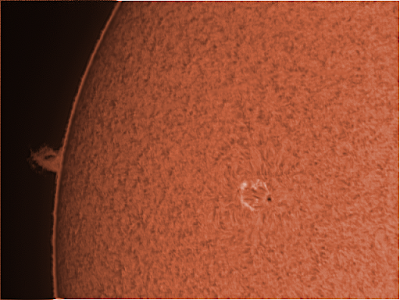 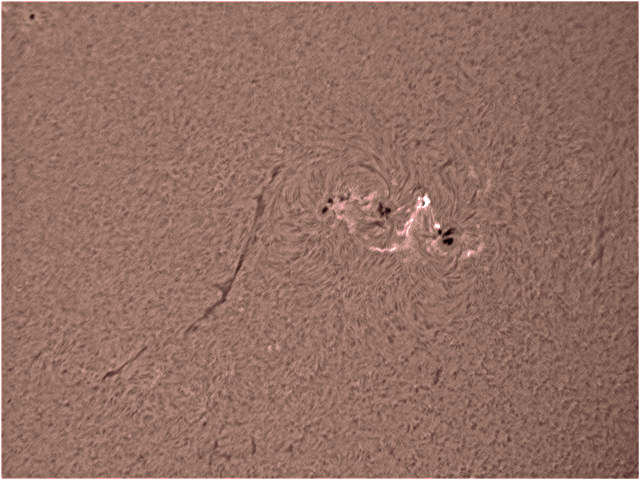 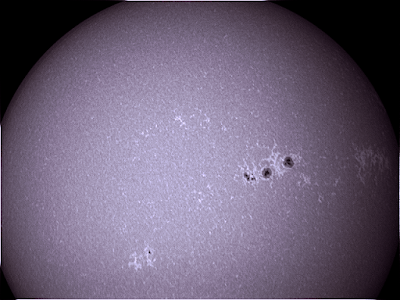 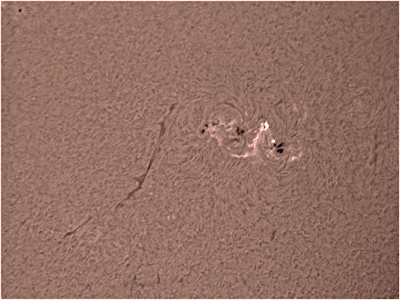 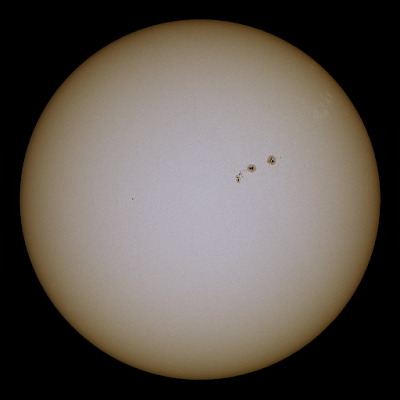 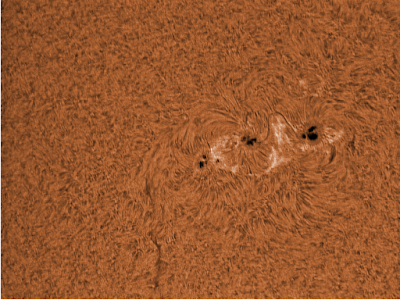 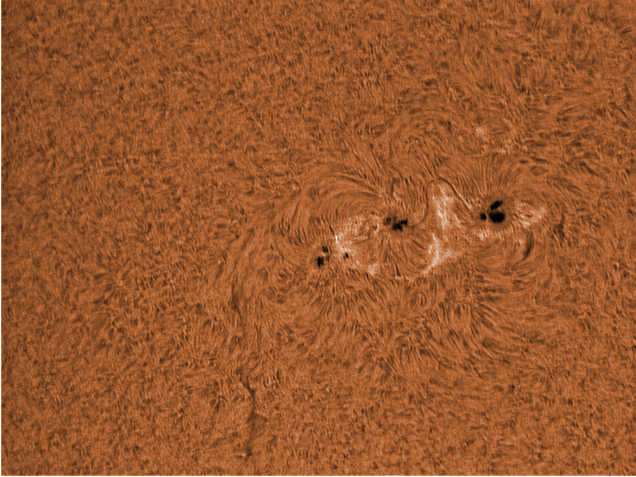 A DMK 21AU04 AS camera was connected to a Solarmax II 60, BF15 H-alpha scope with a x2 Barlow. 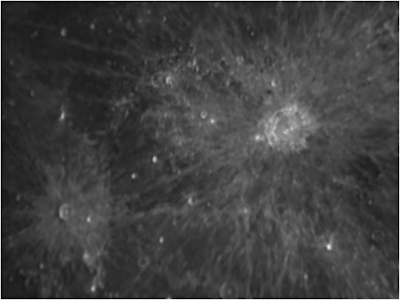 The active regions were imaged by capturing 1000 frame AVIs at 60fps. 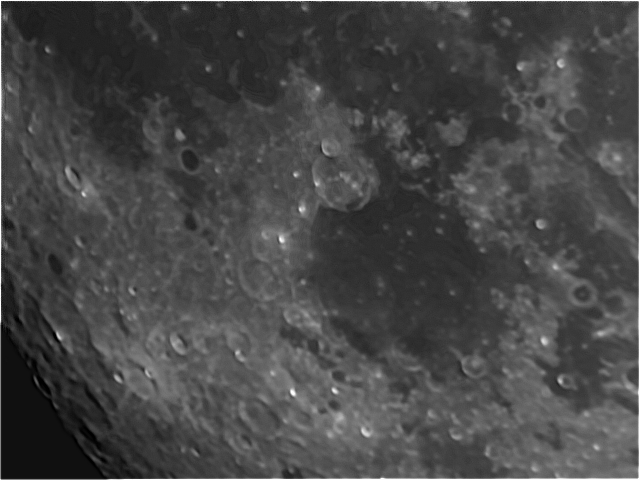 The AVIs were stacked and wavelet processed in Registax running under the Wine, Windows compatibility layer. 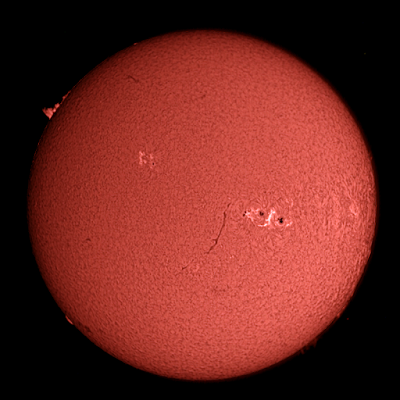 The resulting images were post processed and colourised in the Gimp 2.9, which can process the 16 bit TIFF files produced by Registax. Click on an image to get a closer view. There is still a lot of work to be done, improving the GUI, removing AVI size restrictions, implementing colour capture in DFK cameras, etc. 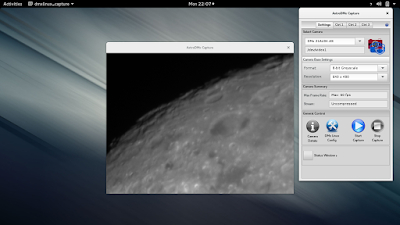 However, significant progress has been made to date in bringing the DMK, DFK, DBK series of Imaging Source cameras to Linux.